Hello all, Wanda here. I'm so glad you have joined me again this evening. We are going to jump right from an Autumn project yesterday to a Christmas one today - I hope that doesn't freak you out too much!!!! 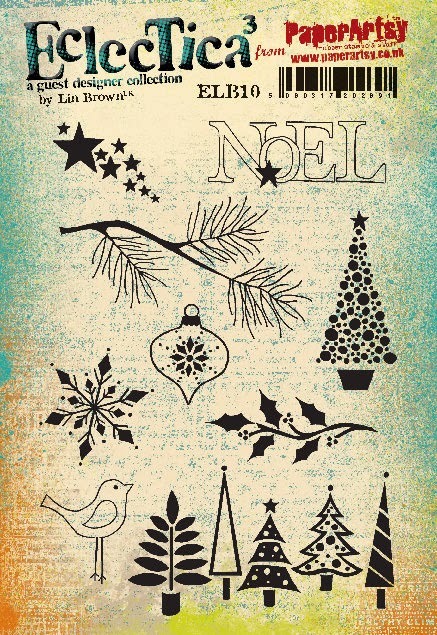 I love all the new PaperArtsy releases and today I'm using stamps from all 3 of Lin Browns new sets (ELB10, ELB11, ELB12) plus using three colors from her new Limited Edition Set 2. I know many people start their Christmas cards this early (some earlier) and others are just starting to think about them. 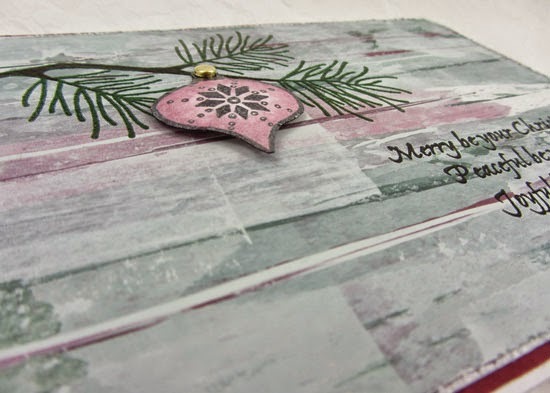 We are going to do a basic background on a full sheet of Smoothy White Stamping Card and then cut it up to make four cards. 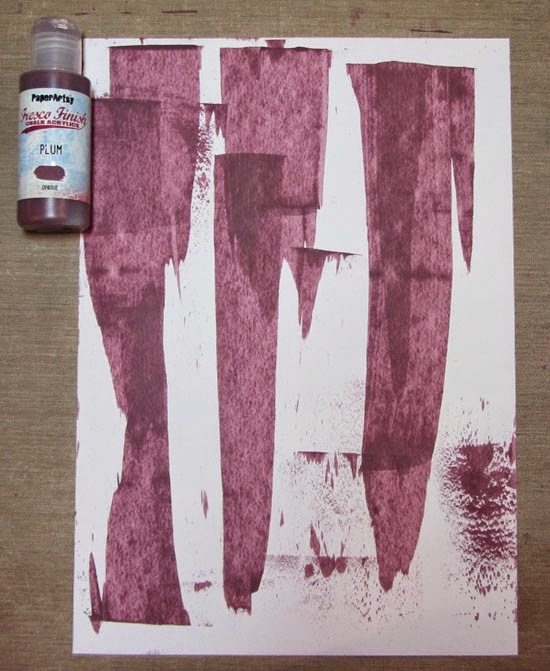 I started with Plum paint, scraping it onto the Smoothy cardstock with an old plastic card not thinking too much, just getting some paint on the paper and leaving room for other colors. Next I added Evergreen in the same way filling in some areas and getting some overlap also. 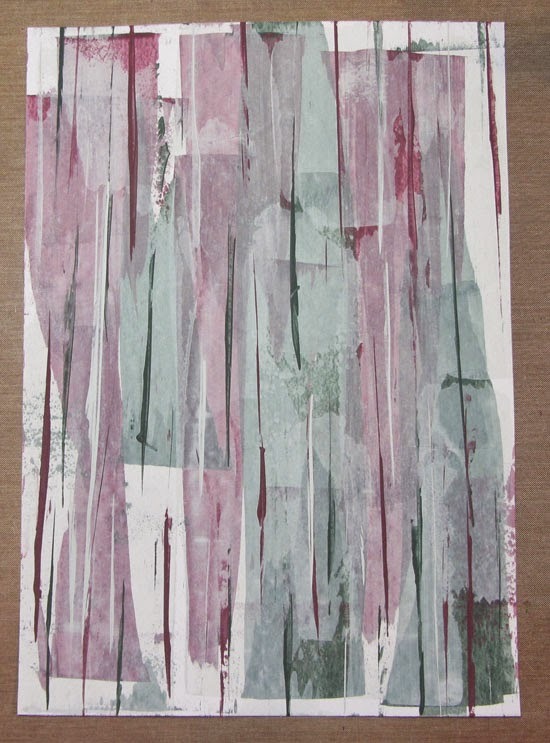 Finally I used Hint of Mint scraping over much of the paper so the background would be light enough to work on top of. I then started over with the same colors dragging the edge of the plastic card on the paper to get narrow lines rather than wide lines. I worked through the colors one at a time the same as with the wide lines. After making sure everything was dry, I again went over the whole piece with Hint of Mint in wide strokes to lighten everything up a bit more. Lastly I trimmed and cut the piece into panels that measure 4" x 5 1/4". 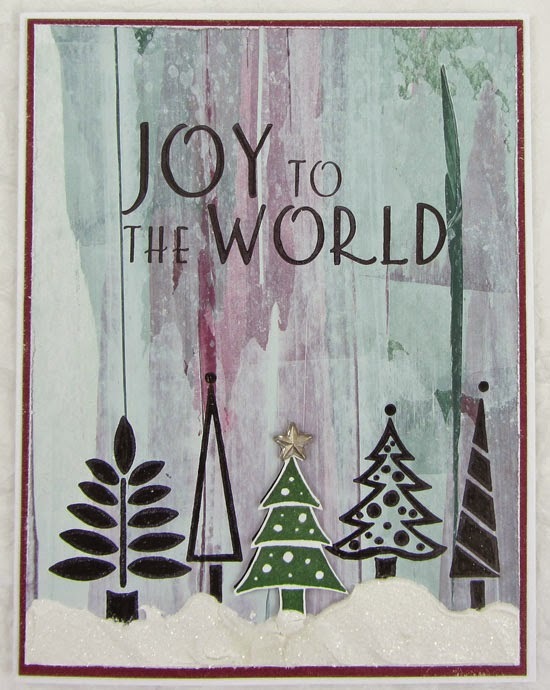 For this first card I stamped the sentiment with Archival Ink Jet Black and then the trees with the same ink. 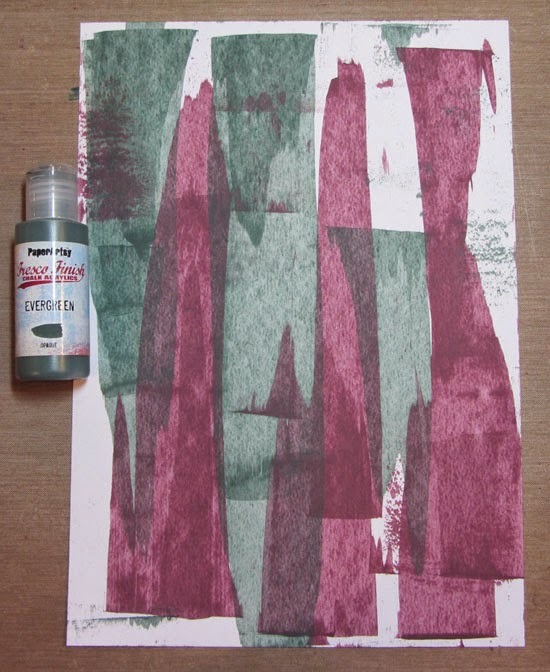 When I stamped the trees I had some speckled/blotchy, not completely dark areas. 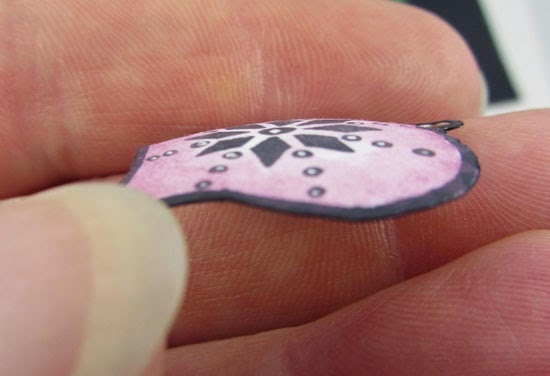 This was totally operator error as it had stamped perfectly on a scrap piece first. I just didn't press well enough and removed the stamp too soon - rookie mistake but sometimes it just happens. I didn't want the panel to go to waste so had to figure out a way to save it. It wasn't terrible looking and I probably could have just left it, but it bothered me. I could have stamped on another paper and layered over it but didn't really want to do that either, especially since I'd decided to go with black and then add just one tree in color over the top (center tree stamped with Archival Ink Emerald Green on a scrap, cut out, shaped with my finger and layered on top with a narrow piece of foam tape just in the center of the tree). So I decided to just use my black Pitt Pen to darken in some of the areas. Now this black wasn't going to exactly match the stamped black so I was careful to use the pen in a pattern on each tree. You can see in the close-up picture that the first tree is darker on the inside of each branch with a lighter area around it. Doing it this way makes it look like that's exactly how it's supposed to be :-) I decided the trees needed to be in snow so mixed some Snowflake paint with Grunge Paste, applied it to my panel with a palette knife and poured Distress Dry Glitter Clear Rock Candy on top dumping off the excess. The edges of the panel are distressed just a bit. I used an Idea-ology mirrored star at the top of the green tree first adding some Treasure Gold White Fire onto the star with a stencil brush. I also added just a hint of the Treasure Gold in my background by barely touching the brush in the jar and then quickly brushing it in the open areas of the background. When tilted in the light it looks like the background has little metallic flecks in it. Very cool but not easily captured with a camera. 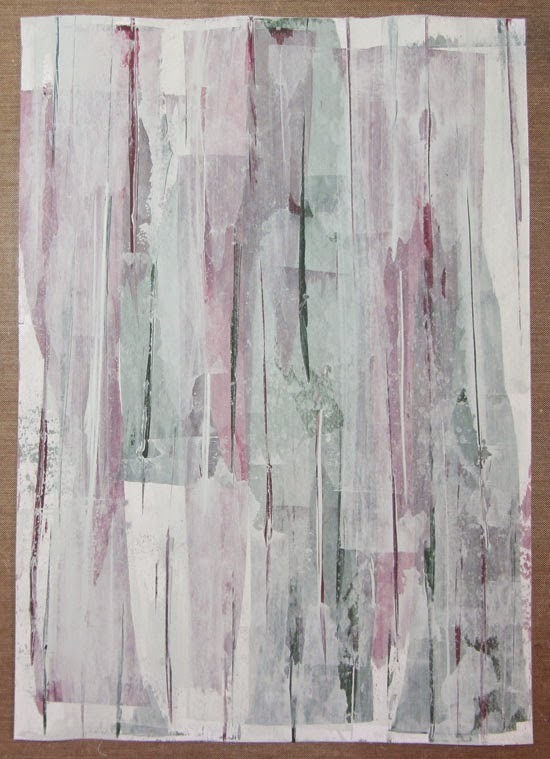 This panel is layered to a colored panel that has the same Treasure Gold lightly brushed on the edges and then it is layered to a folded white card. 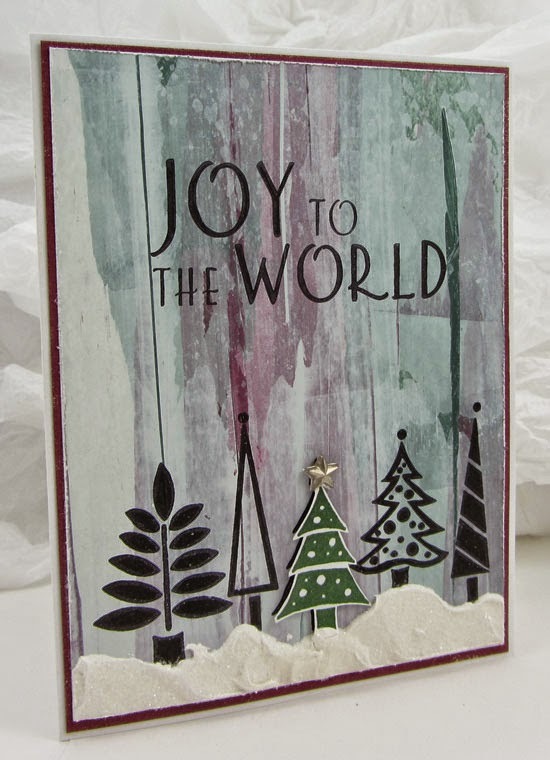 For the second card, I had decided to use embossing powder and to be sure the powder only stuck where it was supposed to, I tapped an anti-static bag over the whole background and then tapped it over the whole background again, just to make extra sure. 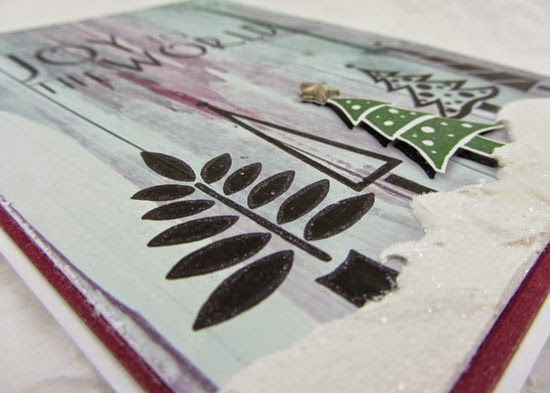 I stamped the pine branch with Versamark Ink, embossed it with Green embossing powder, and when it was cool went over just the branch part with a brown marker leaving the needles green. I also stamped the quote with Versamark and embossed it with black detail powder. 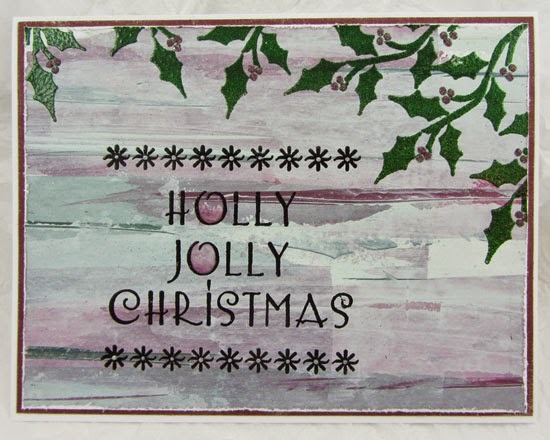 I stamped the ornament on a scrap of paper with Archival Ink Jet Black and used a water brush and Plum paint to add color. Next I cut it out and then went around the edges with a black Sharpie marker so there was no white showing. 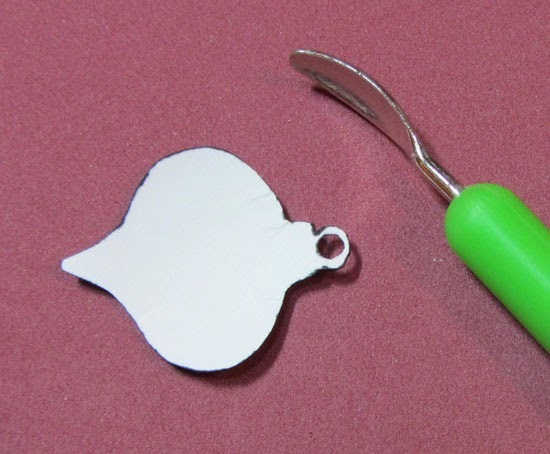 I used an 1/8" hole punch for the inside of the hanger area and the Sharpie to cover any white spots. I wanted the ornament to shimmer and so added Metallic Glaze over the ornament just rubbing it on thin with my finger. It looks so good!!! I used a foam mat and a stylus to shape the ornament so it had a rounded look, attached it to the card with foam tape (actually 2 pieces stacked so it could look very round), pierced a hole through the background where the hanger was and added a gold brad. Again, as with the first card, I distressed the edges of the panel, and added just a bit of Treasure Gold White Fire to the open background areas and to the edges of the colored panel. A holly jolly Christmas!!!! I stamped the sentiment with Versamark and embossed it in black (again first using an anti-static bag over the background). 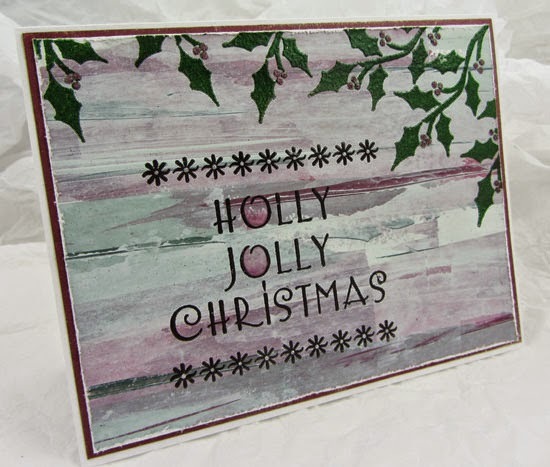 I stamped the holly with Versamark and embossed with Green powder. Using a very pointy paintbrush I added dots of Plum Ink over each of the berries and, while still wet, sprinkled them with Distress Dry Glitter Clear Rock Candy. I added color to the inside of the large Os with a water brush and Plum paint and added dots of Metallic Glaze to the center of each asterisk/star. I again distressed the edges of the panel, added a hint of Treasure Gold White Fire to the open areas of the background and to the edges of the colored panel, and layered it all to a folded white card. Isn't the bird cute!!! 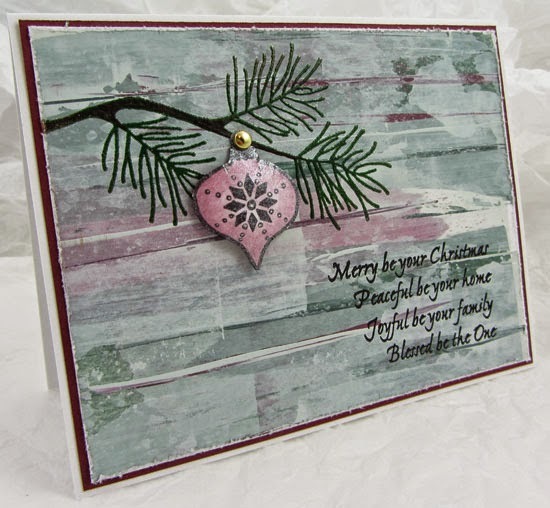 I added some stamping to my background on this panel using the image of stars and Hint of Mint paint. 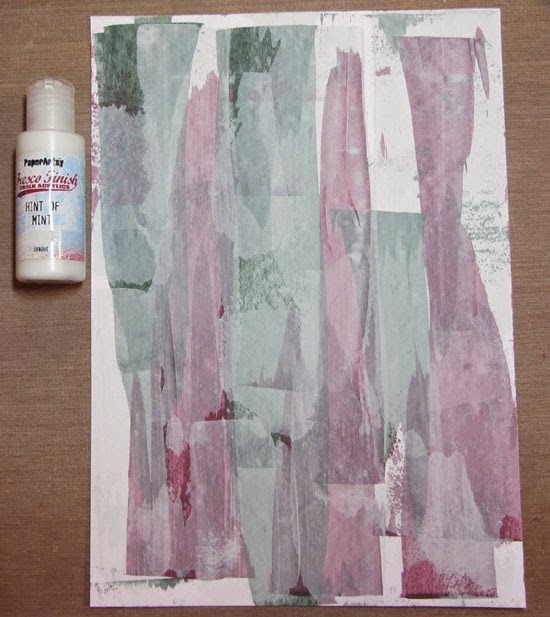 I put a little puddle of paint on my craft sheet, spread it out with my finger, pressed the stamp into the paint and then onto my background and repeated over the whole background. I dried this with my heat tool and then stamped the bird with Archival Ink Jet Black onto the panel and two more times onto a scrap piece of heavy Smoothy cardstock. I used an anti-static bag on the panel and stamped Noel with Archival Ink Jet Black and embossed it with detail black powder. 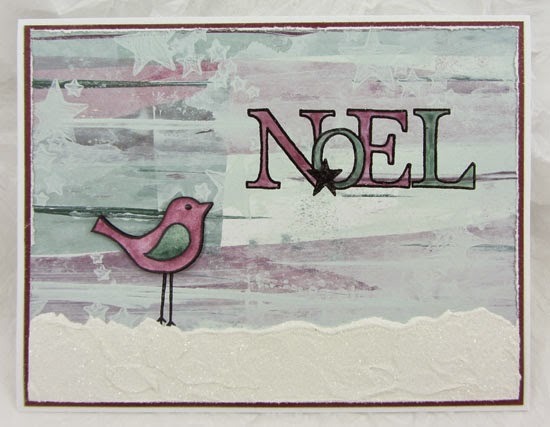 Next I painted in Noel using a water brush and both Plum and Evergreen paint. I painted one of the extra birds in Plum and then just the wing of the second one with Evergreen. I cut out the bird and the wing, shaped them with my finger, and layered them over the stamped bird on the panel using foam tape. 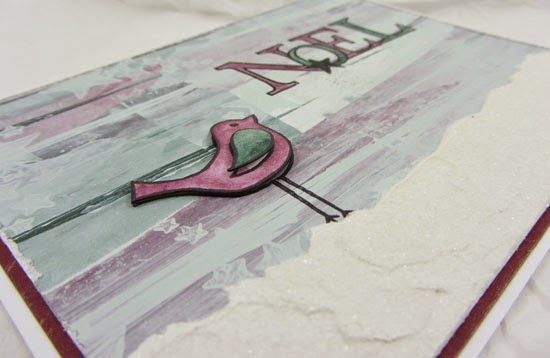 I decided on some "snow" again and as in the first card, I mixed Snowflake paint with Grunge Paste, added it to the panel with a palette knife, and then sprinkled Distress Dry Glitter over it. Once the paste was dry I distressed the edges, added just a bit of the White Fire Treasure Gold to the open areas of the background and also to the edge of the colored panel, and layered it all onto a folded white card. Oh, I also painted a thin layer of Metallic Glaze onto the black star (you can see the shimmer when the card tilts) and added a little dot of Glossy Accents to the birds eye. 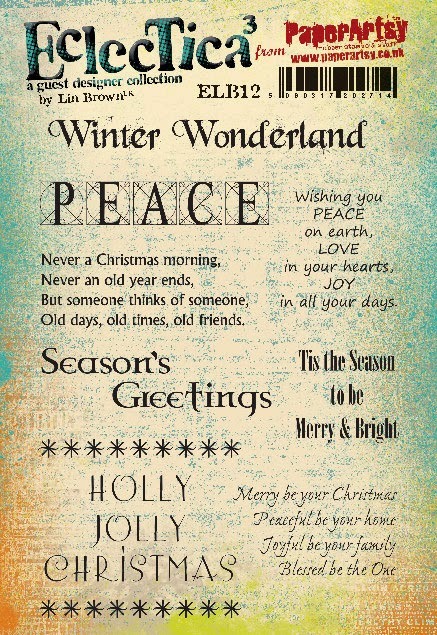 I hope you are inspired to start your Christmas cards!!!! I will be back tomorrow evening with my final project for this month. A huge thanks from the PA HQ team Wanda. 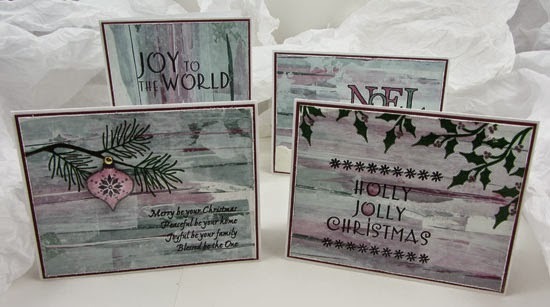 The soft worn paint effect looks beautiful against the bolder stamped images. 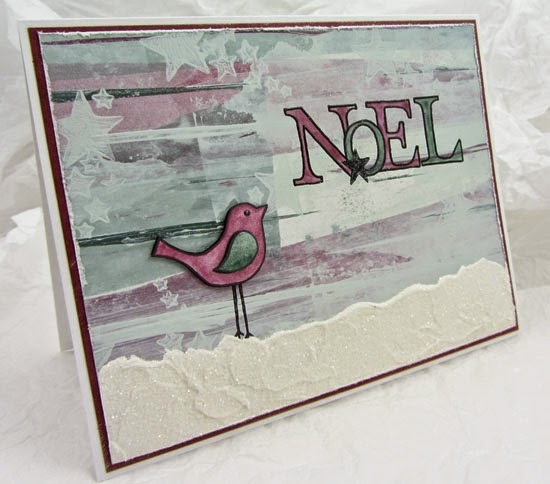 Love the added dimension in creating a snowy effect and also to the bauble using various mediums.Delightful card set. Love the backgrounds too!! 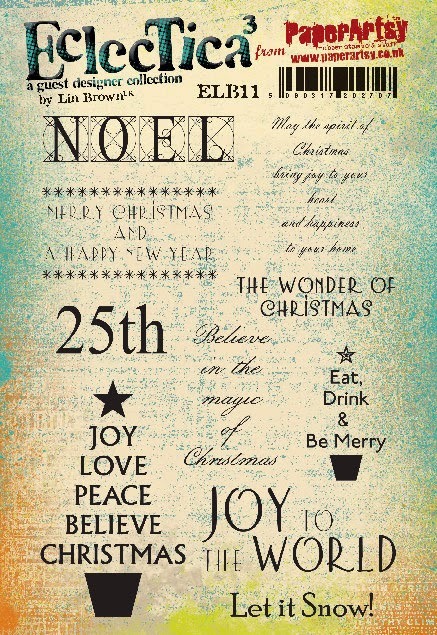 perfect Christmas cards!!!!! 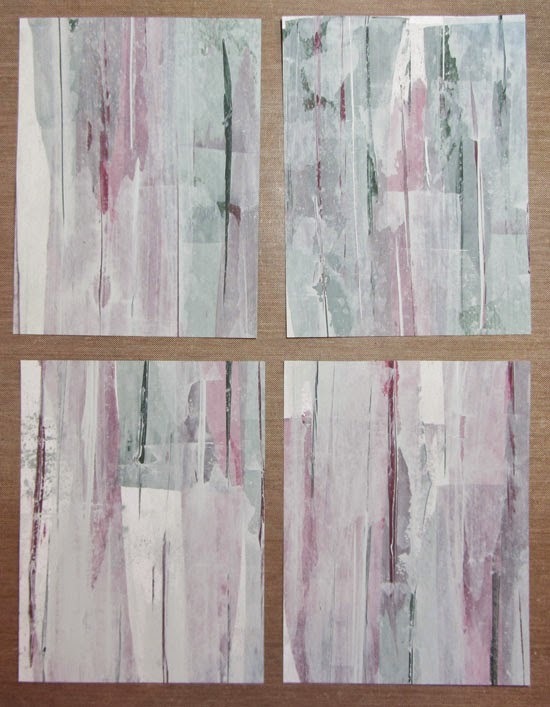 Love the backgrounds they make me think of weathered wood, perfect foil for these beautiful images. Ohh the painty BG's are wonderful and love ALL the cards. Fab! They are gorgeous cards. I LOVE the background, it looks just like a piece of weathered & worn wood. Fabulous cards Wanda and amazing background effect. 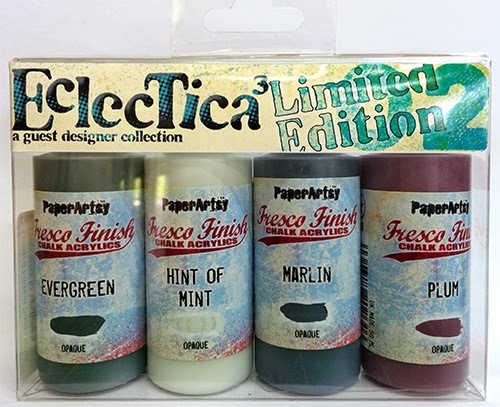 Wowee, do I need those paints and stamps. This latest release of goodies is going to bankrupt me, lol! What a wonderful Painty background! Never think to do this for my Christmas cards! 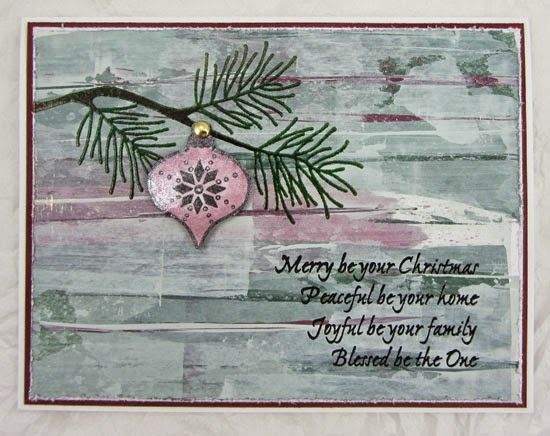 Simply beautiful Wanda, the paint effect looks just like weathered wood, I love it. And "worse"; you make us feel like we Need the stamps and the paints asap:-). Great tutorial, I love how detailed your description is! The background texture really adds a woodsy feel to the cards! Love it!